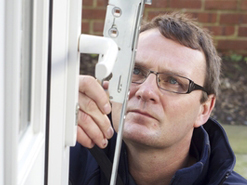 If you find yourself locked out of your property, or your locks are worn and need replacing, it pays to know a reliable locksmith in Treeton is just a phone call away. 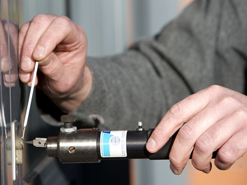 SF Locksmiths understands how important it is for your lock repairs and replacements to be carried out as soon as possible, which is why we pride ourselves on offering a 24-hour service. Lock repairs in Treeton, Rotherham. 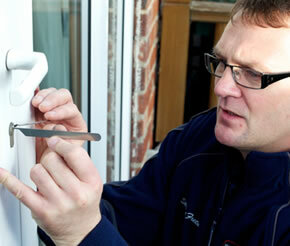 Our expert locksmiths in Treeton can also repair sliding patio doors - and we're specialists in slide and tilt doors. Get in touch with us on 01709 711 055 to discuss which option is right for your home or business. Whenever you choose a locksmith in Treeton, it's important they are police and CRB-checked. This way, you can be safe in the knowledge your home or business is properly secured, and that its locks will stand the test of time. 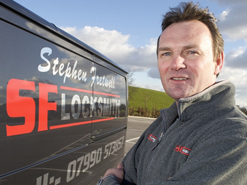 All work carried out by SF Locksmiths is guaranteed for two years. Emergency locksmith covering Treeton, Rotherham. Simply call 01709 711 055 and our experienced locksmith in Treeton will be on hand to help within the hour. Fast and friendly service replacing a broken mechanism on our upvc door - many thanks.